Táthar le Eoin Pól II a bheannú go luath agus tá na hullamhúcháin faoi lá tseol i gcathair ársa na Róimhe. I measc na rudaí atá á dhéanamh tá foilsiú ar an ndian scrudú a deineadh ar a shaol agus ar a phearsa agus ar impleachtaí a threimhse mar phápa. 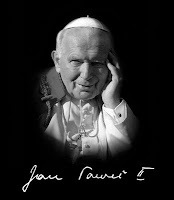 "John Paul II is not a Polish phenomenon. This is the extraordinary thing, which struck me very much, and which is one of the elements of fascination of John Paul II. He was not ashamed to speak of his homeland, of its history, of using its language, of identifying himself also with the popular religiosity of Poland, to speak of his fellow countrymen. However, that man who felt so strongly tied to his nation, was also able to be a gift for others; John Paul II was a gift for humanity." Nach minic a bhíonn náire orainn féin ár dteanga féin a labhairt, omós a thabhairt dár dtír féin dár ndúchas. Iad siúd a deireann go bhfuil teipthe ar Éirinn. Beag a dhéanamh den cúltúr ársa ár dtíre, rud a rinne na Sasanaigh ó 1366 agus roimhe anois tá daoine áirithe inár measc féin á dhéanamh le déanaí. 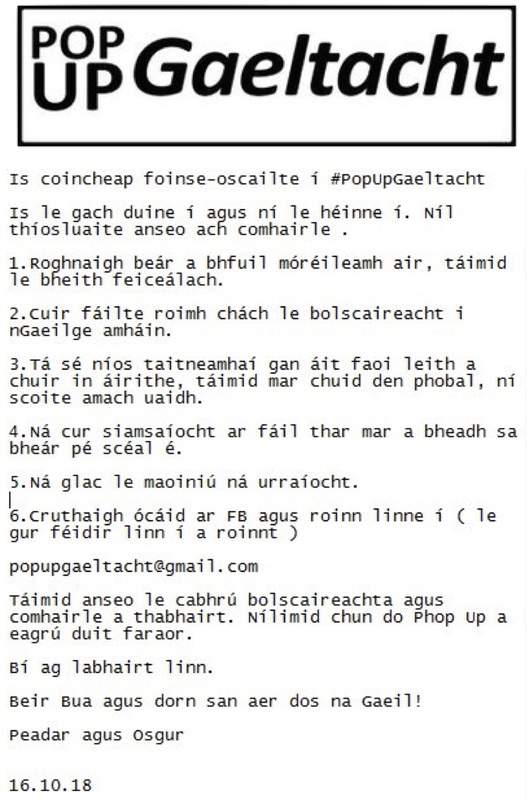 I fíu smaoineamh ar Eoin Pól, Pólanach agus saoránach an domhain sna laethanta seo nuair atá spiorad na tíre in ísle brí.